Indian River’s Kaitlyn Kreisler competes in a swimming event earlier this season at Sussex Academy. Their most recent contest was a bit of a disappointment, but the Indians were battling some injuries to several of their main roster members. IR managed just two event wins in the 102-65 setback to Sussex Tech in Wednesday, Jan. 30, swim meet at the Sussex Academy Aquatic Center. It was both teams’ Senior Recognition Night. Senior Michael Barnes won the Indians’ lone individual event with his time of 23.21 in the 50 freestyle event. The team of Declan Burke, Liam Adkins, Ethan Forrey and William Douds combined for the win in the 200 medley relay with their time of 1:52.76 for the other IR event victory. 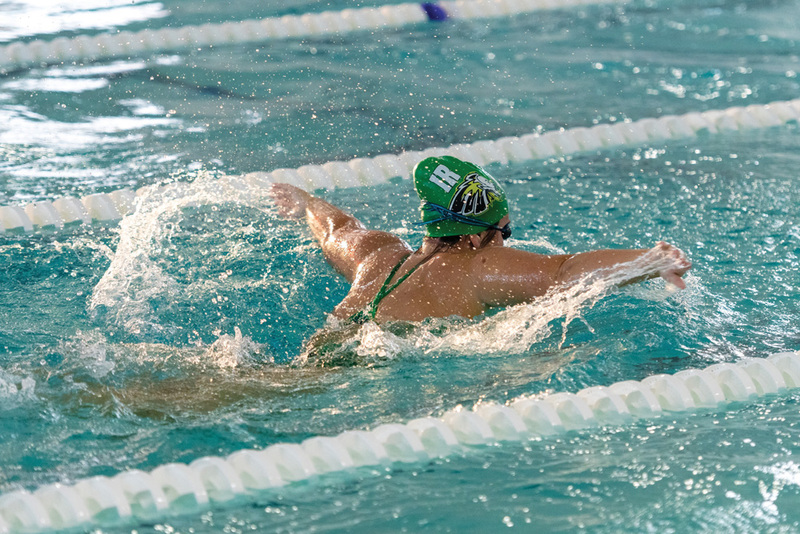 The IR girls’ swim team was able to win just one event in their 130-40 loss to the Ravens in this week’s Henlopen Conference divisional crossover meet. Sophomore Alex Hall was the lone winner for IR, with her 7:02.46 in the 500 freestyle event. Both IR swim teams are gearing up for the Henlopen Conference Swimming Championships, which will be held this Saturday, Feb. 9, at the Sussex Academy Aquatic Center. • Liam O’Leary, junior — 50 free (25.09). • Lexi Hall, sophomore — 50 free (28.36). The DIAA State Swimming Championships will be held at the University of Delaware on Feb. 20, 21 and 23.